It is one thing to be hopeful and optimistic, it’s another to delude yourself with the magical thinking that you and you alone will be spared the slings and arrows of rejection. The truth is you’re going to get cooked like a kipper. I say this not to discourage but to prepare you. Knowing the laws of gravity shouldn’t stop you from jumping out of an airplane; it should cause you to look for a parachute. 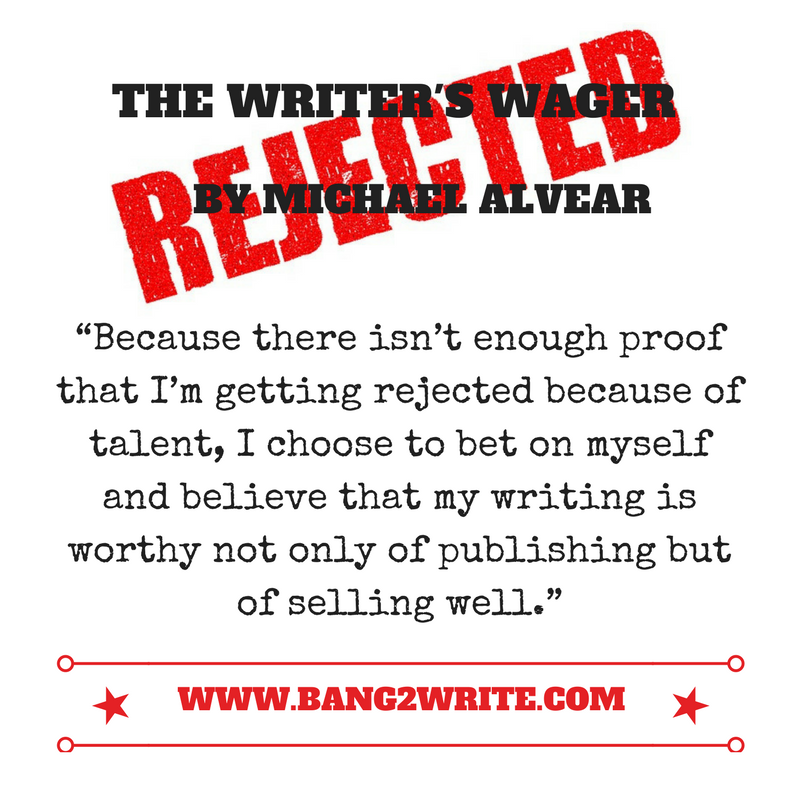 Knowing that you will face relentless rejection isn’t a reason to avoid publishing or screen writing; it should cause you to look for ways to protect yourself. Publishing is notorious for rejecting its most talented writers. Many publishers rejected Stephen King’s Carrie because they felt it wasn’t scary enough! Imagine if King believed that rejections were an indictment of his work. It’s easy to be derailed by an agent who asks for three revisions and still won’t take you on. Or an editor who championed your first book but passed on the second. Or getting a string of 1-star reviews on Amazon. All of these types of rejections can make you lose touch with your motivating force. If I may be so bold, I’d like to suggest that you don’t write to get published, get good reviews and make a lot of money. You do it Because You Have To Tell Stories. You have a burning need to create. Your car runs on a gasoline called Purpose. Everything else—publishing contracts, reviews, money—may make the ride faster and more comfortable but they are not what propels the car. Forget about putting a brave face on it. Rejection hurts. If I may paraphrase a book, it’s a terrible, horrible, no good, very bad thing. And you should treat it as such. Feelings are like tax collectors—you can pay them now and stick to the principal or pay them later and add the interest. The more you bury your feelings the more they’ll manifest later in undesirable ways. Take-away: Spend time processing your feelings. I use a “48 Hour Rule” for especially painful rejections. It’s my chocolate and wine phase where I get to howl, kick dirt and rage at God. Then I pick myself up and rarely speak of the rejection again. This allows me to process my feelings without getting stuck in emotional quicksand. It’s easy to do, especially if you get a steady stream of rejections. Most of us tend to have an inner critic with the soul of a serial killer. To understand why familiarize yourself with the concept of loss aversion which states that we feel more pain from loss than pleasure from winning. Your inner critic is motivated by a fear of loss and therefore believes it must hurt and insult you to get things done. Take-away: You need your inner critic because it’s the CEO of Quality Control—it stops you from putting out crap. But you can motivate it with the anticipation of winning rather than the hysteria of losing. You can accomplish that by constantly reframing your goals from “If I don’t do this I’ll fail” to “If I do this I’ll succeed.” MORE: When is a rejection a rejection, if I don’t hear anything? 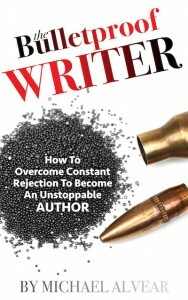 BIO: Michael Alvear is the author of The Bulletproof Writer: How To Overcome Constant Rejection To Become An Unstoppable Author (Woodpecker Media January 2017). He’s been a frequent contributor to National Public Radio’s All Things Considered and his work has appeared in Newsweek, The Washington Post, Reader’s Digest, The New York Times, The Los Angeles Times and The Huffington Post.